Gyroscopic Couple Basic -‘Gyre’ is a Greek word, meaning ‘circular motion’ and Gyration means the whirling motion. A gyroscope is a spatial mechanism which is generally employed for the study of precessional motion of a rotary body. Gyroscope finds applications in gyrocompass, used in aircraft, naval ship, control system of missiles and space shuttle. A gyroscope consists of a rotor mounted in the inner gimbal. The inner gimbal is mounted in the outer gimbal which itself is mounted on a fixed frame as shown in Fig. When the rotor spins about X-axis with angular velocity ω rad/s and the inner gimbal precesses (rotates) about Y-axis, the spatial mechanism is forced to turn about Z-axis other than its own axis of rotation, and the gyroscopic effect is thus setup. The resistance to this motion is called gyroscopic effect. The turning moment which opposes any change of the inclination of the axis of rotation of a gyroscope. Consider a rotor rotating in anticlockwise direction when seen from the right, and to precess the spin axis about precession axis in clockwise and anticlockwise direction when seen from top. Then, to determine the active/reactive gyroscopic couple vector, the following procedure is used. (iii)Rolling—Sideway motion of the ship about longitudinal axis. 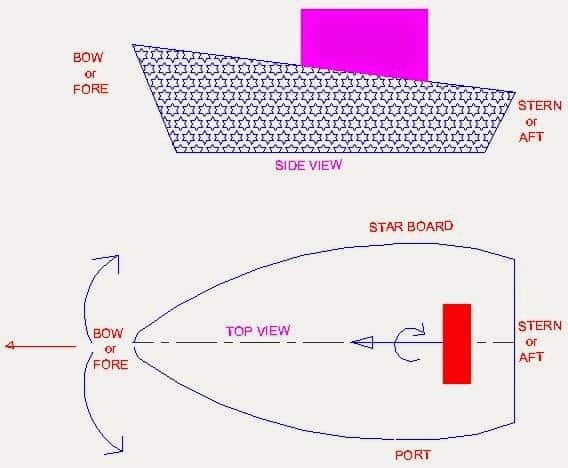 For stabilization of a ship against any of the above motion, the major requirement is that the gyroscope shall be made to precess in such a way that reaction couple exerted by the rotor opposes the disturbing couple which may act on the frame. Consider a gyro-rotor mounted on the ship along longitudinal axis (X-axis) as shown in above image and rotate in clockwise direction when viewed from rear end of the ship. The angular speed of the rotor is rad/s. 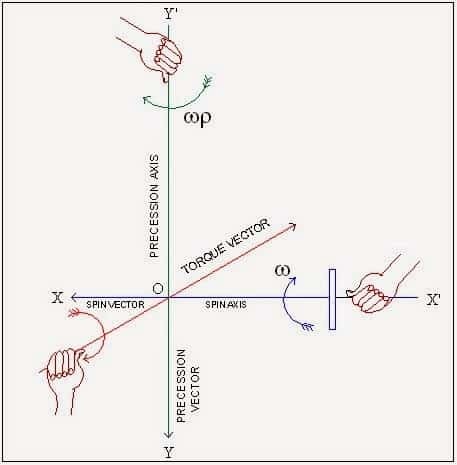 The direction of angular momentum vector, based on direction of rotation of rotor, is decided using right hand thumb rule. Aeroplanes are subjected to gyroscopic effect when it taking off, landing and negotiating left or right turn in the air. Let us analyze the effect of gyroscopic couple acting on the body of the aero plane for various conditions. A vehicle running on the road is said to be stable when no wheel is supposed to leave the road surface. In other words, the resultant reactions by the road surface on wheels should act in upward direction. For a moving vehicle, one of the reaction is due to gyroscopic couple produced by the rotating wheels and rotating parts of the engine. Let us discuss stability of two and four wheeled vehicles when negotiating a curve/turn. Stability of Four Wheeled Vehicle negotiating a turn. When a vehicle moves on a curved path, a centrifugal force acts on the vehicle in outward direction through the centre of gravity of the vehicle. Total Gyroscopic Couple is Found out by making plus of Effect of Gyroscopic Couple due to Engine and Effect of Gyroscopic couple due to Wheel.